A highlight of the visit was being able to take the car for a few laps around the circuit. 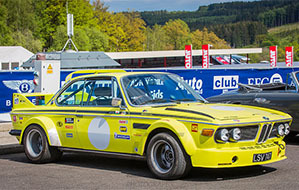 Although the 1972 CSL was fast for its day, clearly it wasn’t going to be much competition for new Porsches and Vipers. Having said that, it did put away a few surprising opponents as you can see in the video below! Thanks to LD Photography for the fantastic photo of the car.